“It’s all about offering an experience in the lounge that not only sets the tone for but is also consistent with the flight experience ahead. “I’m confident the wonderful team of hospitality professionals we have in our Sydney lounge, together with our check-in staff and guest service agents, will ensure we deliver on that promise,” Hogan added. 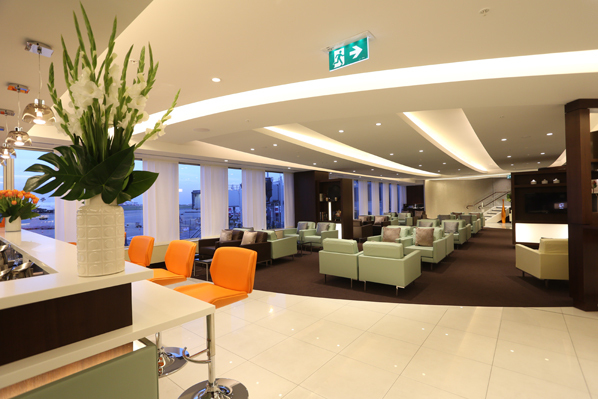 Set over two natural light-filled levels and an area of 798m2, the Sydney lounge offers a range of facilities catering to the diverse needs of today’s business and leisure travellers. This includes state-of-the-art business amenities with Apple computers; complimentary Wi-Fi connectivity; multi-zone electrical and USB power outlets; dedicated male, female and accessible bathrooms with shower facilities; a children’s play room; male and female prayer rooms; and comfortable armchairs in the relaxation zone. Lounge guests will also be treated to Etihad Airways signature food and beverage service with a choice of restaurant-style a la carte dining and a sumptuous buffet. Wines from local Australian producers complement an extensive selection of alcoholic and non-alcoholic beverages including beers, champagne, aperitifs, spirits and liqueurs. Etihad Airways commenced services to Sydney in March 2007 and today offers twice daily non-stop flights together in partnership with Virgin Australia.